Locked out of my house…IN THE DARK?? Last Saturday morning started out with a bang when the door from the kitchen to the garage banged shut…behind me. I loaded my bags into the Trusty Honda. And I ALWAYS have bags! Usually full of books, my date book, my laptop, pens, notebooks, etc. Since I still had to grab a few items from inside the house, I headed back to the kitchen door, turned the knob and realized that the door was locked. I mopped the sweat from my brow and headed for the front door. Locked. Still, I wasn’t overly concerned. After some of what I have been through, I know there is always a solution. To anything, really. I had let the dogs out. Maybe the sliding door was still unlocked? 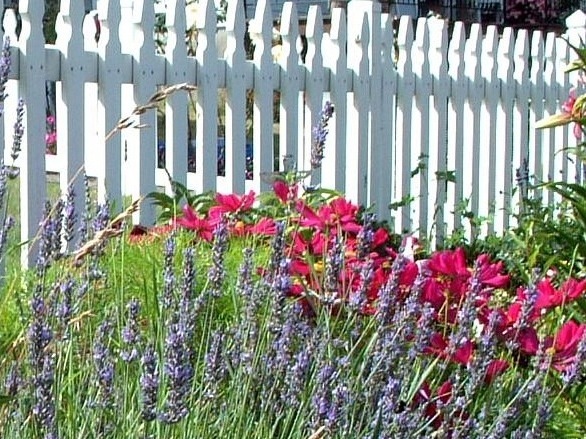 There will be an adorable picket fence in my side yard. The posts are in the ground, but not painted white and there isn’t yet a gate. 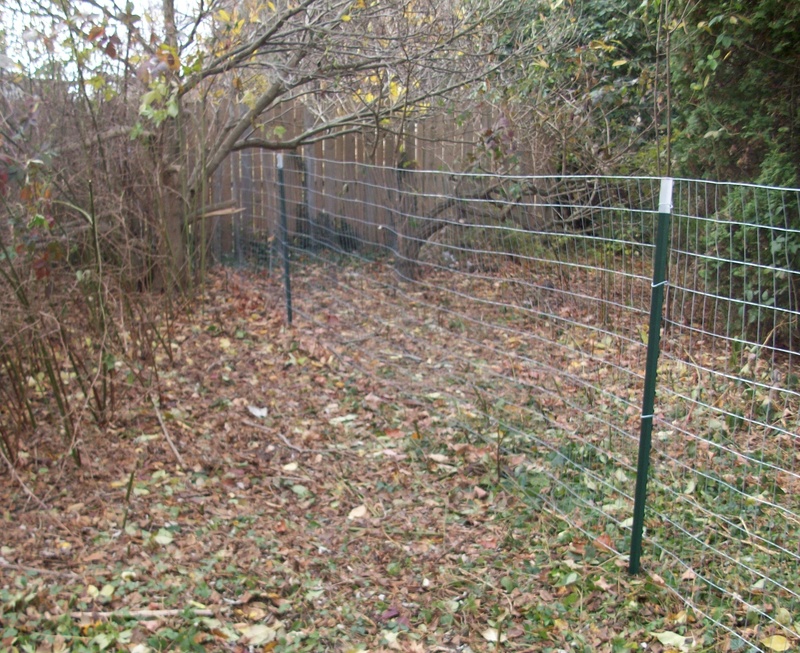 Only a welded wire fence to corral the dogs, until my Pretty Picket Fence is completed. This is where it got tricky. I needed to hop the flimsy fence. In the dark. At 6:15am. So I dragged a heavy, wood Adirondack chair over to the fence. 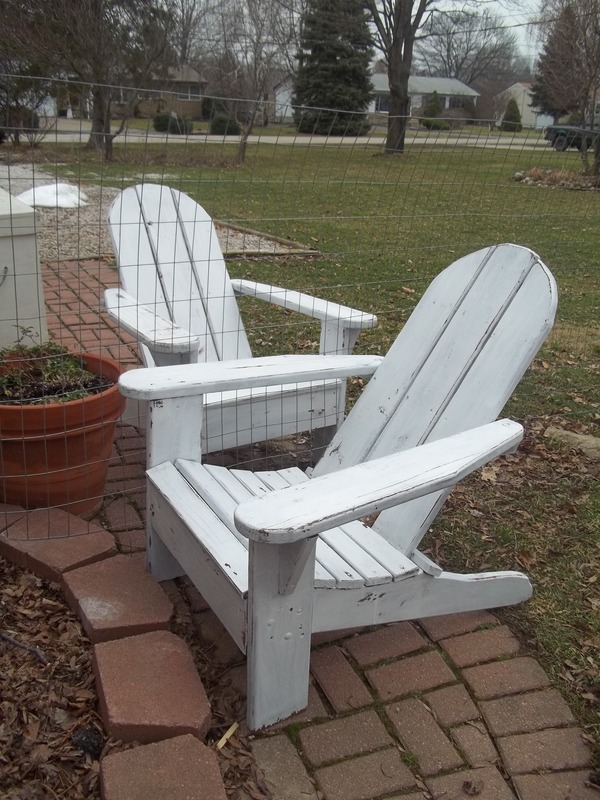 Then hoisted the other heavy, Adirondack chair over the fence to the other side–only way to get to the ground on the other side of the fence. I hopped up on the arm of a chair and was grateful for my agility–AND the ‘catlike reflexes’ I am known for. Because I slid sideways to the seat of the chair and caught myself, laughing out loud at my near disaster. I hadn’t accounted for the slick layer of icy frost that coated the tops of both chairs. The slider was locked, as well. By now, my neighbor Chapman’s three large boxers were on alert, barking like lunatics. Total barking dogs? FIVE. Suddenly, Chapman’s dogs were outside and in a lather. They lunged at the fence and the chorus of Five Barking Dogs was deafening. I grabbed my cell phone. I didn’t want Chapman to wonder what was going on outside. Me: Chapman, the dogs are barking at me. I locked myself out of my house. Of course, Chapman laughed at me. Who could blame her? Chapman: Wait a minute…I might still have a key. She rooted around in her junk drawer. (I heard her on my end) AND…Clouds parted and angels sang because she found a key! I walked next door, laughing at myself…again. It was still pitch black outside. And it was Chapman’s day off work—her ONE day to sleep in. Chapman handed over the key. As ever, she was in good spirits even though my antics roused her from a dead sleep at the crack of dawn. Lucky I have a neighbor like Chapman. Me: I’ll bring this back to you later. A little later than expected, I was en route when my cell phone rang. Me: Great! Tell Tim I’m running late. Dad: Can’t you call him? Me: Can YOU be the bearer of bad news? Tardiness annoys my brother, Tim. The irony? He is rarely on time. Except when he has a job to do. Tim was Tournament Director for a local hockey tournament. As I took my post, I got out my reading material. I’ve been reading an excellent book called, The Secrets of Six Figure Women. It is an inspirational book about the common traits of successful women. And yet, I have hope for myself and my future. And along with my ‘catlike reflexes,’ I have my sense of humor…which is good, because I tend to NEED it!